One of the most popular bass fishing lures of all time, crankbaits come in hundreds of different shapes, sizes, and styles ranging from shallow to deep divers. 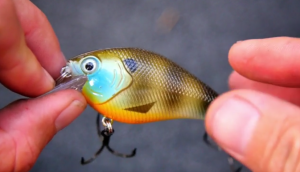 The squarebill crankbait is the perfect crank for fishing shallow water quickly and successfully. Here is everything you need to know about squarebill fishing. 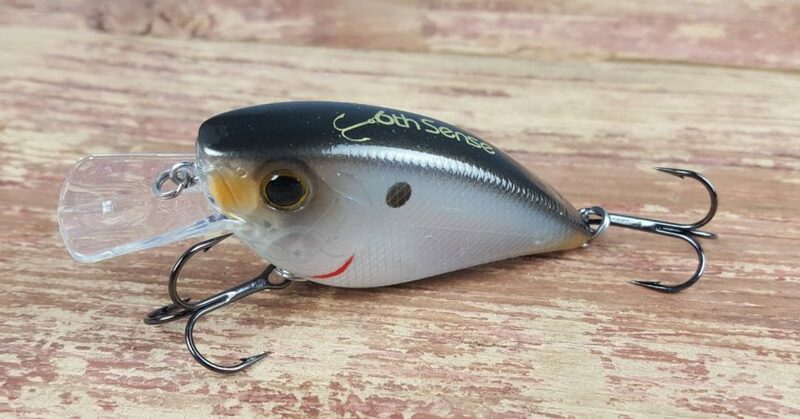 Unlike the curved lip of most crankbaits, a squarebill has a square lip exactly like its name implies. 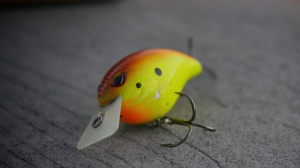 The unique flat lip of a squarebill is what makes it such a deadly bass lure. You can wind a squarebill over laydowns, riprap, or submerged weeds without getting snagged. Bites will usually come when the squarebill deflects off of cover and causes a reaction strike from bass even if they aren’t actively feeding. Squarebills will catch fish all year long, but the spring and fall are prime squarebill seasons. Bass move shallow to spawn in the spring and to feed in the fall, squarebills run at the perfect depth to target these bass. In the spring, look for shallow weed flats and rocky banks where bass will stage before the spawn. Burn a squarebill across the top or down the edge of the cover to get the most bites. In the fall of the year, bass are looking to gorge on shad, bluegill, or other baitfish before winter hits. 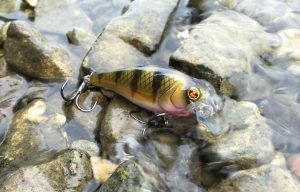 Make sure your squarebill resembles the forage the bass are eating and target creek channels, shallow points, and any type of hard cover that bass might relate to. The most important gear choices for squarebill fishing is line selection and rod action. 10 to 17 lb test fluorocarbon line is ideal for fishing squarebills because it allows the bait to reach the proper depth and has enough abrasion resistance to hold up when you’re cranking through thick cover. A medium action rod around 7 feet in length works best for throwing squarebills. Using a longer rod will add distance to your casts helping you cover more water. A medium action rod has a soft tip that will allow a fish to eat the crankbait before you feel pressure, ensuring that you don’t set the hook to soon and rip the squarebill from the mouth of the fish. Reel choice really depends on the situation and angler’s preference. Slow gear ratios like 5.1:1 are great for cranking slowly in cold water and faster reels like a 6.4:1 gear ratio are ideal for quickly winding a squarebill in warm water. Join the MTB mailing list for great fishing content, giveaway notifications & promos!